Herbs Recipes Your Health Resources What's New? Is there anything ginger can't do? Seriously! The health benefits of ginger are amazing. But, while ginger may seemingly do everything, to get the most benefits of ginger root you'll need to understand how to match ginger's warming and spicy qualities with a specific person. 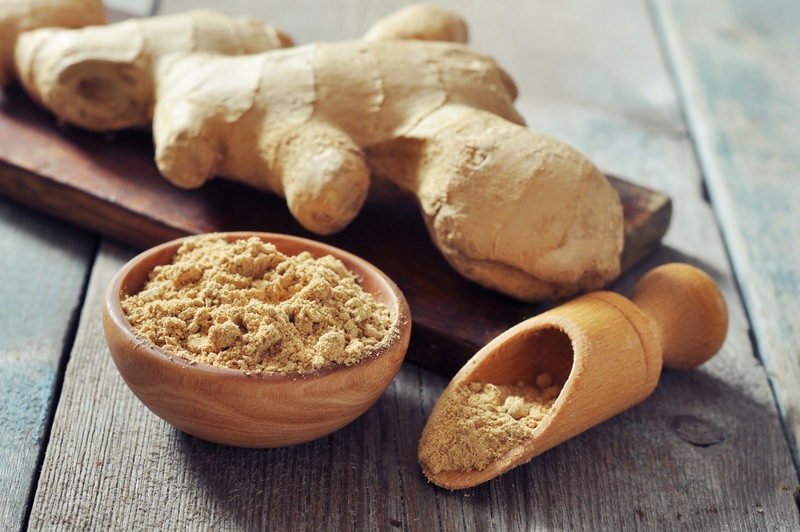 It probably won’t surprise you that Ayurveda calls ginger the “universal medicine.” It has been used for centuries and is still one of the most popular herbs of our time. It has been widely studied with positive results for a variety of issues, making it one of the more accepted herbs in Western medicine. This article will look at the many health benefits of ginger. I will pay special attention to the energetic qualities of ginger so that we can move away from thinking of it as a simple substitute for pharmaceuticals and towards a clearer understanding of the myriad health benefits of ginger. By understanding the energetics of herbs, we can better match the herbs to the person, making them more effective. Before we discuss the benefits of ginger tea, let’s look at its energetic qualities. Ginger is a warm to hot herb with a tendency towards dryness. Fresh ginger is considered to be warm while dried ginger is considered to be hot. What does it mean for an herb to be heating and drying? 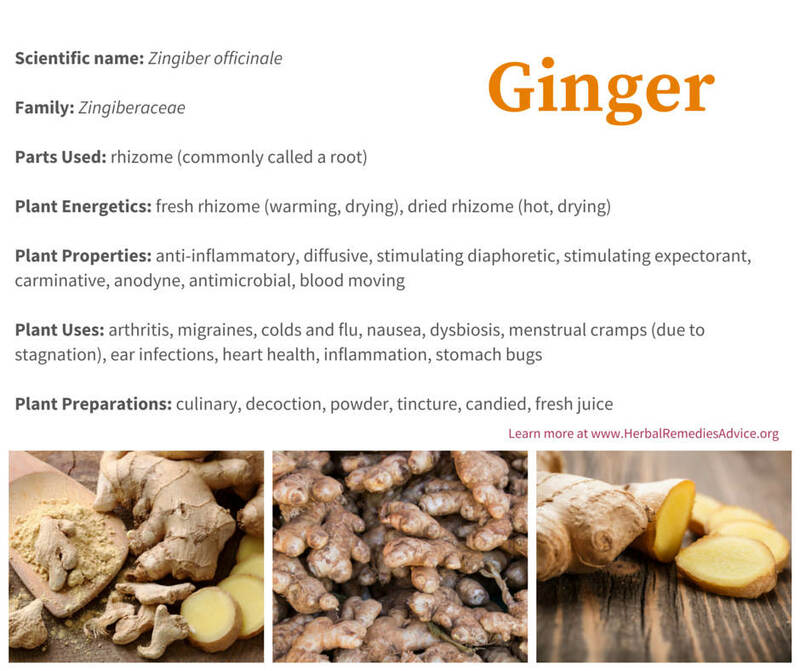 Ginger is a great herb to experience energetics firsthand. If you sip a hot ginger tea, you’ll feel the heat from the tea warm up your core. An interesting experiment is to try a tea made with fresh ginger and one made with dried ginger. Notice any difference? You could skip the tea altogether and munch on a slice of fresh ginger. You’ll notice its spicy heat. Ginger is not only warming; it is also aromatic and dispersing. You’ll notice fairly quickly after sipping your hot ginger tea that the heat in your core is spreading to your limbs. If you drink a really strong ginger tea, you may even feel the heat escape through your skin. This is a great reminder that energetics are often circular. In this case, excess heat creates a secondary coolness. Ginger also stimulates fluid loss through various body secretions such as sweat or mucus. Because of this, ginger is considered drying. Let’s now take a look at how ginger’s energetics play a role in the health benefits of ginger. Ginger is a strong ally for various types of pain. A lot of times the herbs we use for pain have very specific mechanisms of action. Because of this, we have to carefully choose which herb to use for specific types of pain. For example, if there is pain due to muscle tension, we use an antispasmodic herb like valerian or kava. Ginger relieves pain through its anti-inflammatory actions, blood-dispersing actions, and by relieving pain caused by coldness. It can also relieve the cramping pain experienced with diarrhea or with menstrual cramps. Ginger is widely used for inflammatory pain such as osteoarthritis and rheumatoid arthritis. Numerous studies have shown ginger to be effective and safe at relieving arthritic pain, both through topical application and by taking it internally. Ginger has also been shown to relieve muscle pain after workouts. In Chinese medicine pain is often seen as a symptom of stagnant blood. Symptoms of stagnant blood include pain that is fixed, stabbing, or boring. A bruise or contusion is an example of stagnant blood that we can easily see. Ginger can be applied topically to relieve blood stagnation. Ginger can also be used for a series of symptoms that herbalists see as stagnant blood in the pelvis. Symptoms of this include painful menstruation, delayed menstruation, clots, and fibroids. Ginger works exceptionally well for menstrual pain with signs of coldness and stagnancy. When using ginger for pain, it works especially well for people with signs of coldness. These people may have a pale face or tongue. They typically feel colder than others. They may have slow digestion or problems with bloating. They may tend towards lethargy or slowness. Ginger may not work well for those with signs of heat. Ginger can be used for many different complaints during an upper respiratory system infection. In fact, if you only had one herb to choose from during a cold or the flu, ginger may be the one, especially when there are signs of coldness and dampness. Sipping ginger tea, sucking on ginger pastilles, or having a spoonful of ginger-infused honey can bring relief to a sore throat. It’s also antimicrobial, helping to prevent further infection. I prefer fresh ginger for this. Ginger is diffusive and stimulating and is perfect for getting stuck mucus flowing again. A strong ginger tea can relieve congested coughs and stuffy sinuses. Ginger can also be used externally over the chest to relieve congestion. Feeling cold? A strong cup of ginger tea can warm you up from the inside. This is helpful for the onset of a cold or flu, especially when someone feels chilled and is shivering. 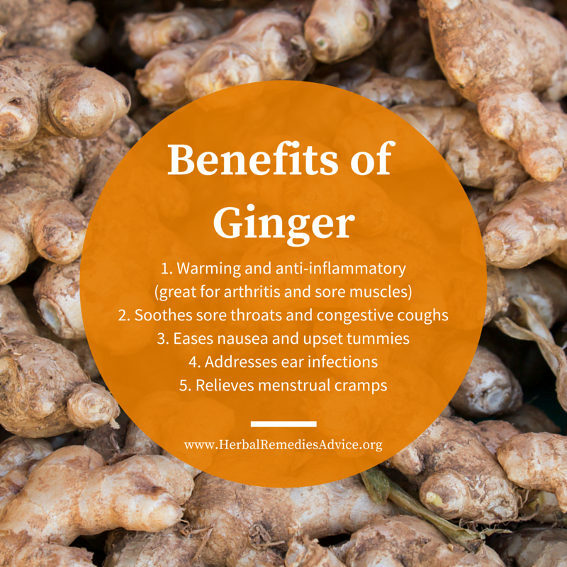 Read more about this in Sue Kusch's article on Ginger's Health Benefits. Ginger is one of our best herbs for digestion. It is warming, carminative, aromatic, and dispersing, and can help with stagnant and cold digestion. Ginger is famously used for all kinds of nausea. It is used in small amounts for nausea during pregnancy and used freely for nausea caused by motion sickness. I keep candied ginger in the car for passengers who made need it on our winding rural back roads. Ginger is also used to decrease nausea after chemotherapy and surgeries. Ginger has long been be used for food poisoning caused by bugs like Shigella, E. coli, and Salmonella. It helps to relieve painful cramping and is also strongly antimicrobial against these pathogens. Ginger supports heart health in several ways. A lot of heart disease in the US is a symptom of an underlying metabolic problem such as insulin resistance or diabetes. While a holistic approach needs to be taken for these imbalances (personalized diet, interval exercise/functional weight training, healthy sleep cycles, etc. ), ginger has been shown to reduce blood glucose and inhibit the inflammation associated with these metabolic imbalances. Ginger is strongly antimicrobial and inhibits a variety of infections. Use fresh ginger juice in drops in congested or infected ears. Avoid putting anything in ears if the eardrum is perforated. Fresh ginger juice or a poultice of the freshly grated ginger root can be used topically on a variety of external fungal infections. Avoid using it on sensitive skin. Ginger has long been used for all sorts of intestinal parasites causing digestive upset and diarrhea. Ginger is commonly added in small amounts to larger formulas. By increasing circulation through dilating blood vessels, it helps to deliver the herbs throughout the body more quickly. 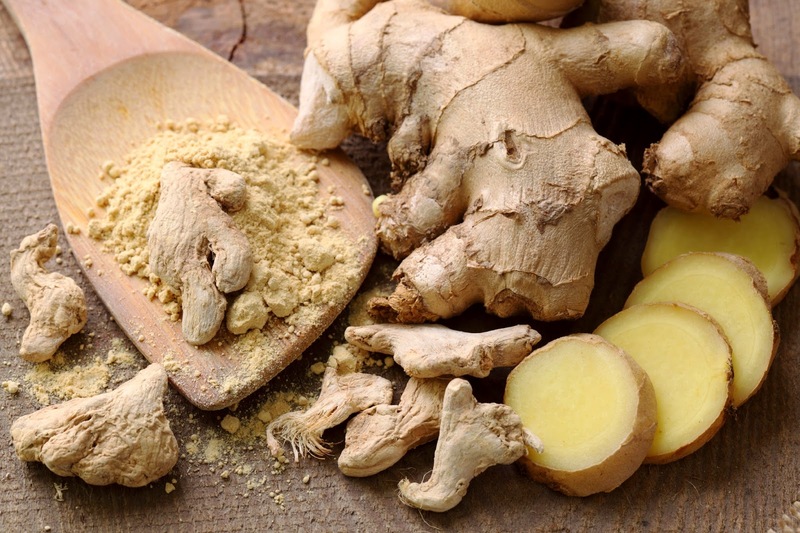 It is estimated that over half of Chinese formulas include ginger in them. Ginger is most commonly used as a culinary spice in both savory and sweet dishes. Fresh ginger is readily found in grocery stores in North America. When picking out ginger at the store, look for plump pieces with smooth skin. If the ginger looks dried out or has a wrinkly skin, you might ask for a fresher choice; however, to be honest, it’s still going to work. If using dried ginger, be sure to get it from a good source. (I buy all of my dried ginger from Mountain Rose Herbs.) Dried ginger should be zesty and hot. If it lacks this, it may be too old. Ginger is very aromatic with a strong taste. When using it in cooking, small amounts are used. You do not have to peel the rhizome before using it, but if you prefer to do so, use a spoon to gently scrape away the thin outer coat. Dried ginger powder is also commonly used in cooking. Wondering how to make ginger tea? Here are instructions for how to make both fresh ginger tea and dried ginger tea. Grate or mince the fresh ginger. No need to peel it first, but if you really want to peel it, try using a spoon to gently scrape away that outer layer. Put the ginger, lemon, and honey in a cup or jar. Fill the cup with just-boiled water. Cover and let steep for 15 minutes. The amount of water you use will determine how strong the tea is. Start with about 8 ounces and then make adjustments from there. Voila, enjoy your fresh ginger tea! Place the ginger in a small saucepan along with the water. Cover and simmer for 7 minutes. Remove from heat and strain. Add the honey and lemon. Ginger is generally regarded as safe for all with no reports of toxicity. It is very warming and somewhat drying and is therefore not a good match with someone already showing signs of heat and/or dryness. It should not be used in large amounts during pregnancy. 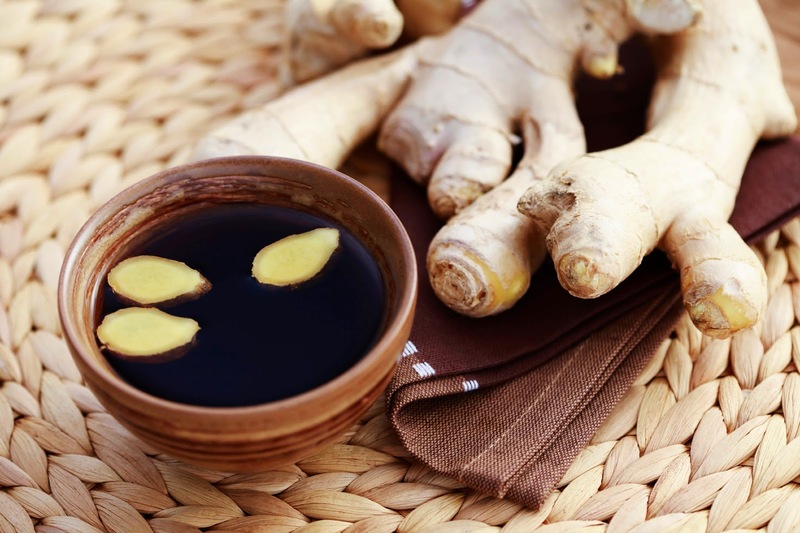 Patients taking blood-thinning medication should consult with their doctor before taking large amounts of ginger regularly. There are about 52 genera and 1300 species of ginger around the world. 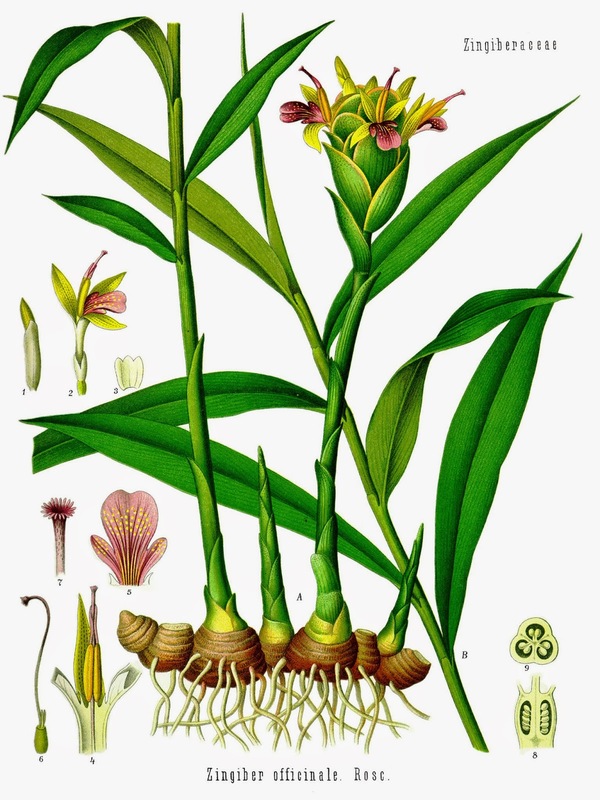 Ginger (Zingiber officinale) is a perennial plant native to the tropics. It has been cultivated for thousands of years and prefers soil that is warm and moist. The flowers grow as spikes. Ginger is one of our best polycrest herbs in that it can be used in a variety of ways for a variety of conditions. Because of its heating and drying qualities, it is best used for people with signs of coldness and dampness. Ginger especially affects the respiratory system, digestive system, and circulatory system. It is a powerful anti-inflammatory shown to decrease pain for those with chronic inflammatory pain such as arthritis. You can read more about ginger's health benefits by reading this nice article by Sue Kusch here. 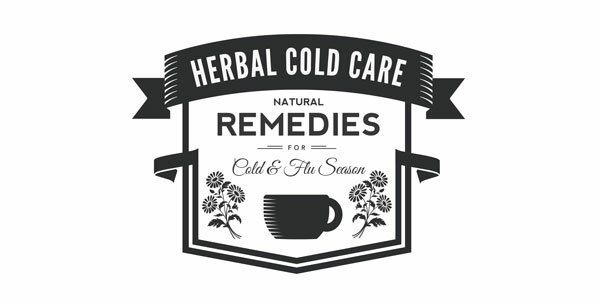 This article was originally written for the Herbal Cold Care Course. Rosalee is an herbalist and author of the bestselling book Alchemy of Herbs: Transform Everyday Ingredients Into Foods & Remedies That Heal. 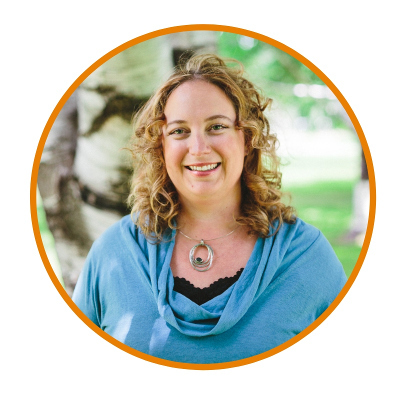 She's a registered herbalist with the American Herbalist Guild and the Education Director for LearningHerbs. Read about how Rosalee went from having a terminal illness to being a bestselling author in her full story here. Choose the best herb for you! The secret to using herbs successfully begins with knowing who YOU are. 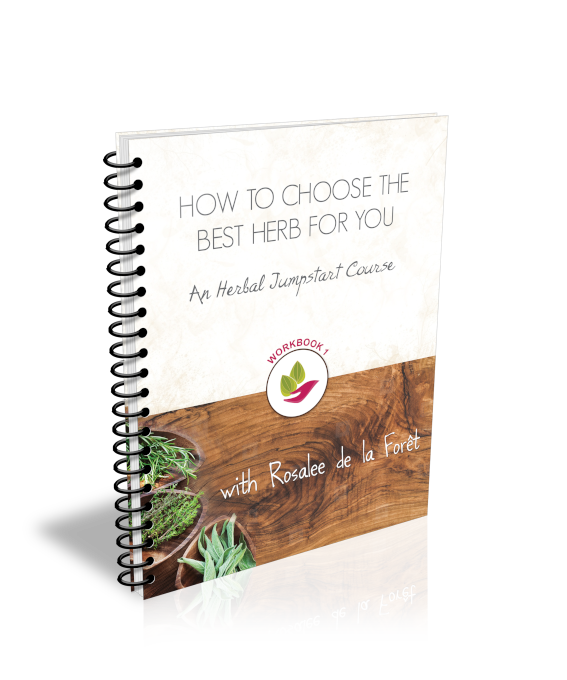 Get started by taking my free Herbal Jumpstart course when you enter your name and email address.